The project team joined the innovation workshop convened in Jakarta, July 2017, to develop the idea, and has been working with ADRRN Tokyo Innovation Hub to take the project forward. Currently, the farmers’ groups are in the third cycle of planting rice in 8 demonstration plots with rice variety suitable to dry ecosystem. YAKKUM Emergency Unit (YEU) also continues the provision of means for producing organic fertilizers and seeds which are suitable based on six criteria; type, variety, quantity, timing, place, and price. Some of the demonstration plots are ready to be harvested by the end of this month. In order to leverage the production, YEU is facilitating the farmers to develop agro-ecosystem friendly innovative farming tool. 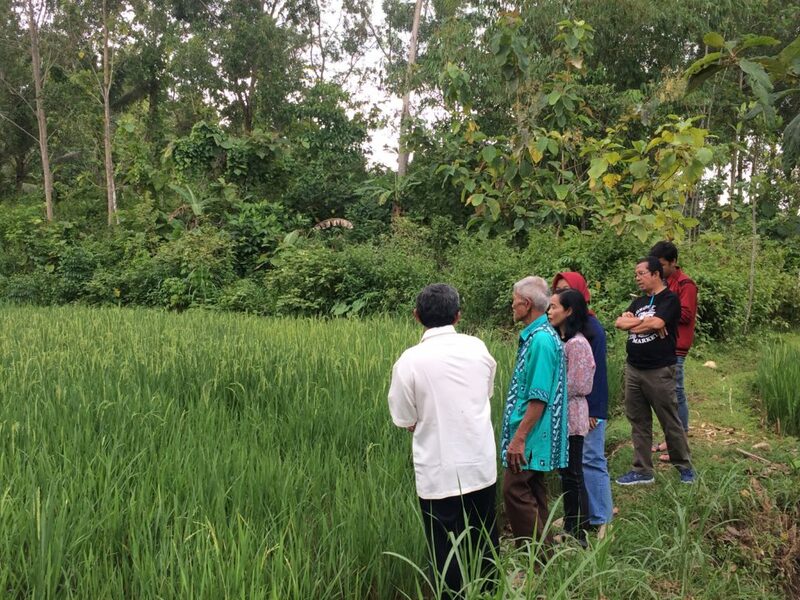 While to increase accessibility of climate and agricultural information YEU will facilitate the use of mobile phone application which can be used by farmers to help them in optimizing their farming method. Gunungkidul District in Yogyakarta Province is dominated by karst areas where the land is less fertile and dominated by long dry periods. 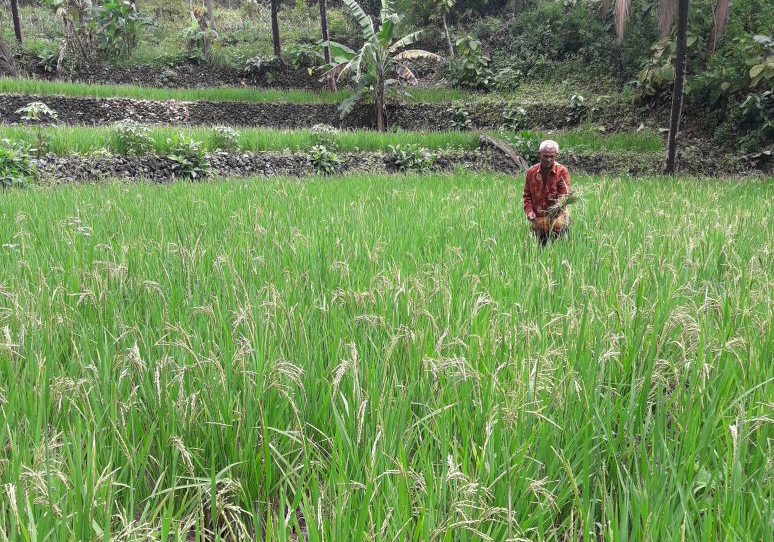 With the shifting patterns of rain and dry periods in recent years, the people of Gunungkidul have to deal with extreme conditions, such as crops failures. In many cases, water sources like ponds and artificial lakes dried up at an alarming rate due to high evaporation, which forced people to buy water for household purposes, farming and tending the livestock. Crops failures in the area occur mainly due to failure to predict the turn of seasons and the inability to cope with pests and plant diseases. 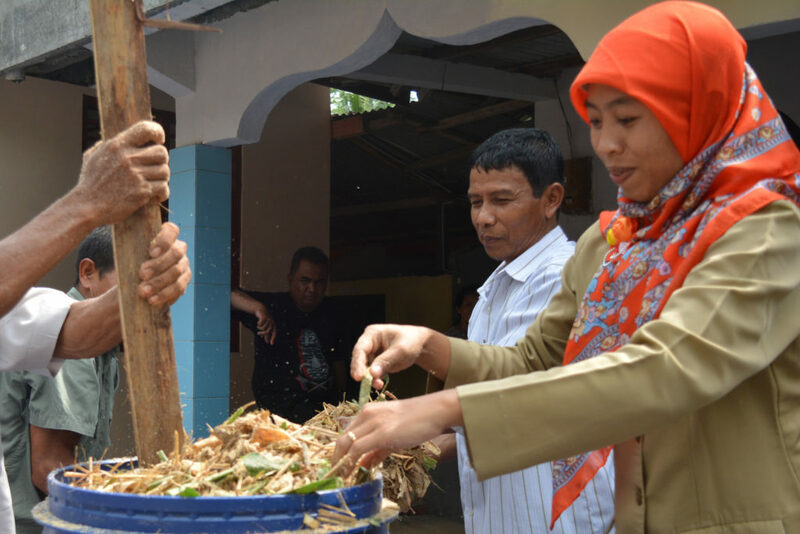 The consequences were severe with the reduction or loss of income of small farmers to sustain their livelihoods. When the land did not yield any crop, they switched to odd jobs and left the farm land unattended. In addition, there were pests and disease attacks from strains which were more resistant to pesticide, fungicide, etc. which resulted in crops to wither and die in vast areas. 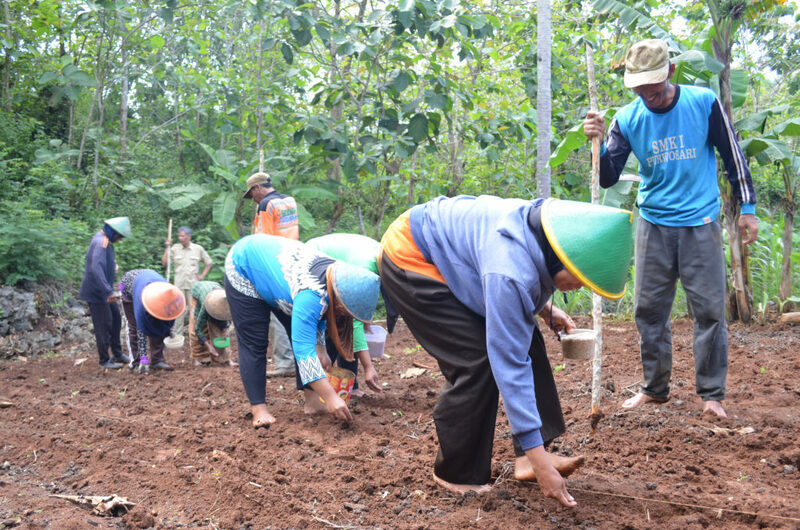 YEU received grant from the Indonesian Climate Trust Fund (ICCTF) to carry out adaptation program in 8 villages in Gunungkidul district of Yogyakarta. 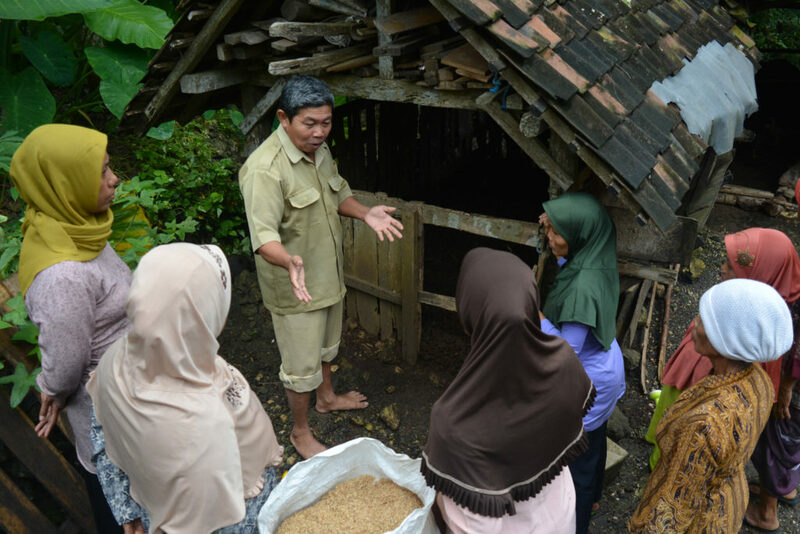 The adaptation program was designed to strengthen food resilience in karst areas in a way which is practical and applicable for field use. It also promotes food diversification and decreases the loss of food production as the prolonged consequences of extreme climatic events. d) production of organic fertilizer to be applied in the demonstration plots and individual farm lands. The farmers have shifted their traditional farming practices into climate adaptive farming with the emphasis on strengthening the capacity of the farmers in controlling plant pests and disease, as well as producing organic fertilizer, bio-pesticides and alternative fodder for livestock. These initiatives eventually increased the crops harvests by approximately 60%. On the other hand, it contributes in strengthening local governance in addressing existing hydro-meteorological risks.